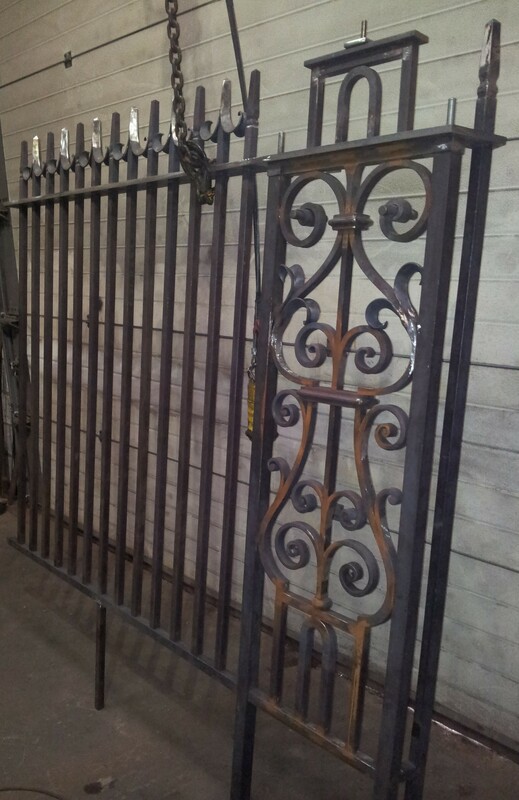 Is usually period and listed wrought iron work that has deteriorated as a result of neglect. 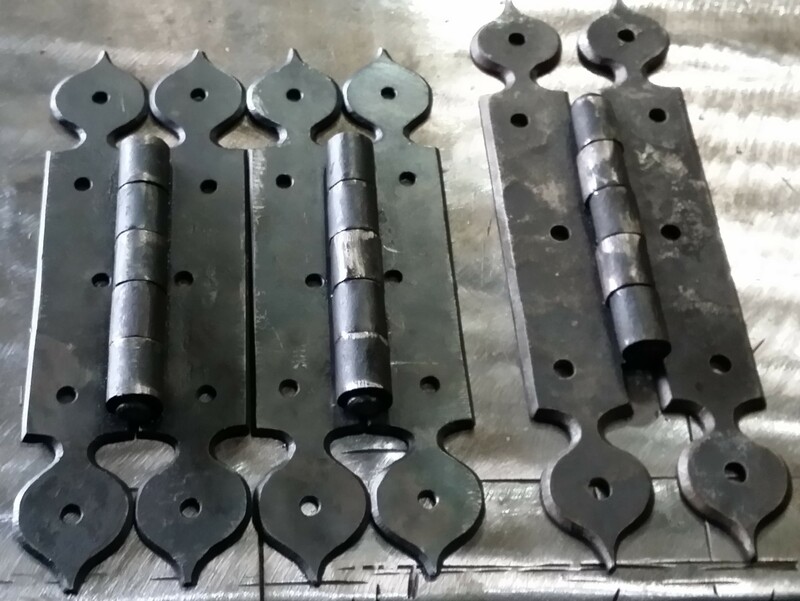 Also period cast iron segments and panels, are usually what we repair or replace. 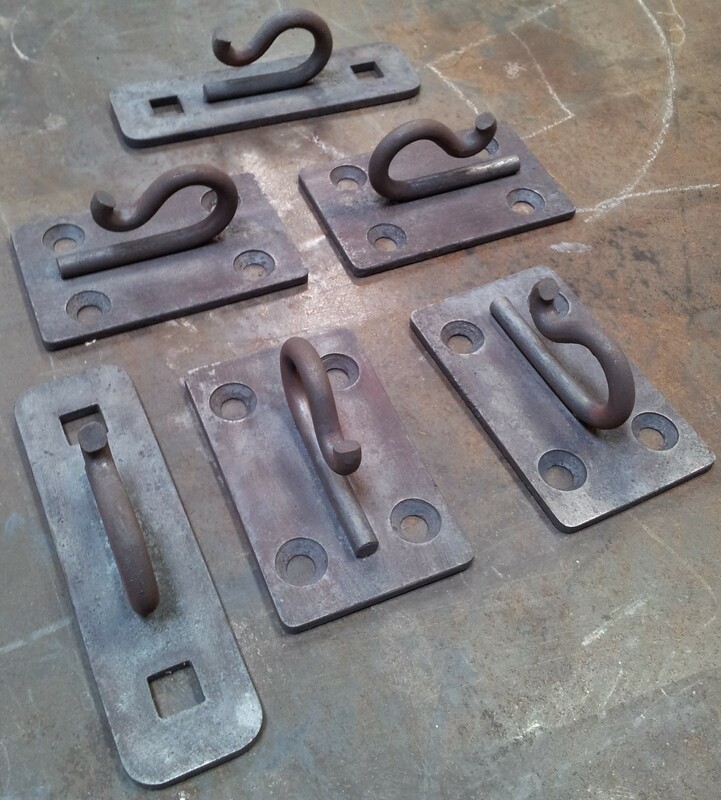 Hand made hinges to replace missing or corroded originals. 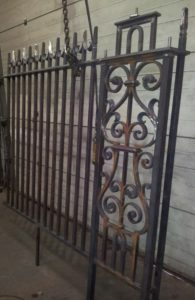 One of three railing panels made to replace the ones that disappeared. All hand forged in keeping with the existing railings. 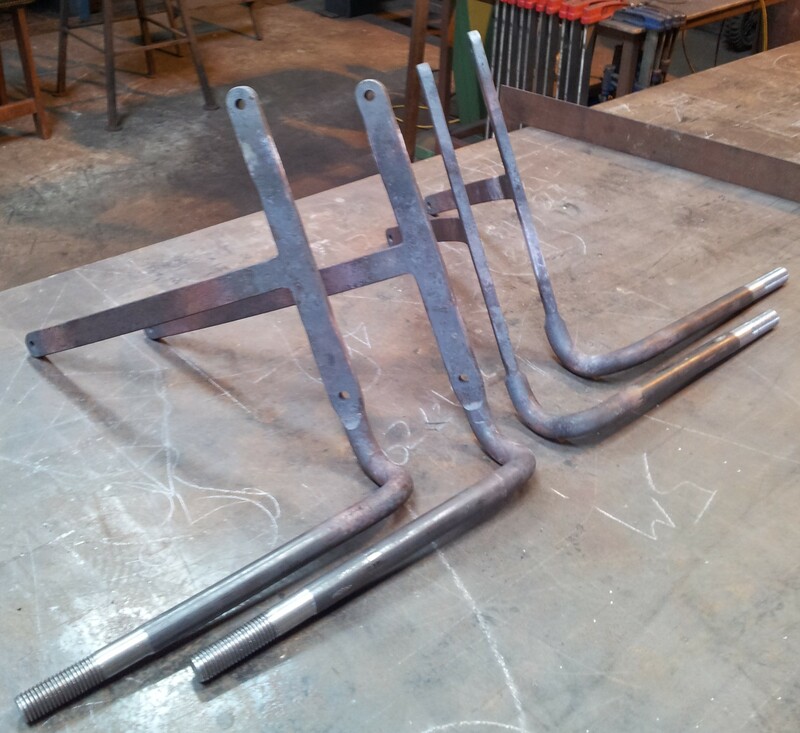 Mud guard/fender brackets for a classic car. 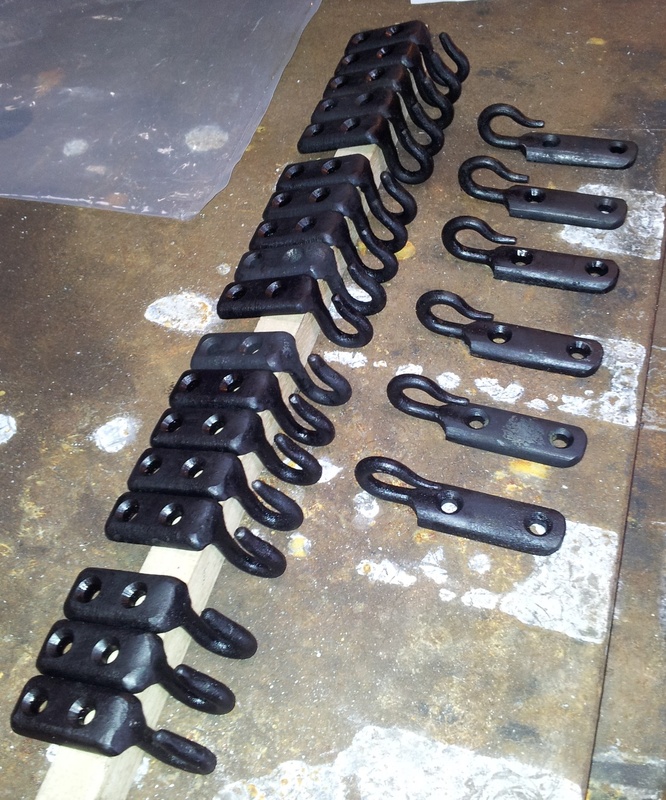 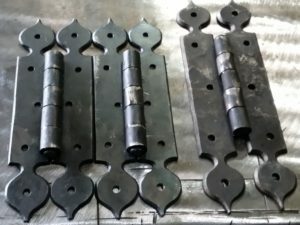 Various hooks for a period trailer restoration. The forge is located in Samlesbury, Lancashire.